Did you know that you already possess the most powerful pharmacy on earth? It is the human mind. Through the power of thought, your brain easily produces the neurotransmitters that lead to the beneficial, quality sleep you need. 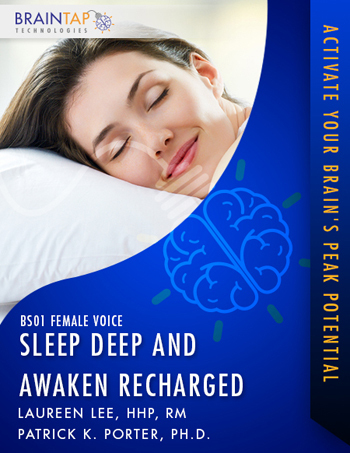 In this session, by using Self-Mastery Technology (SMT), Dr. Porter will guide you through the thought processes that will deliver the deepest states of relaxation and promote healthy, high quality sleep.